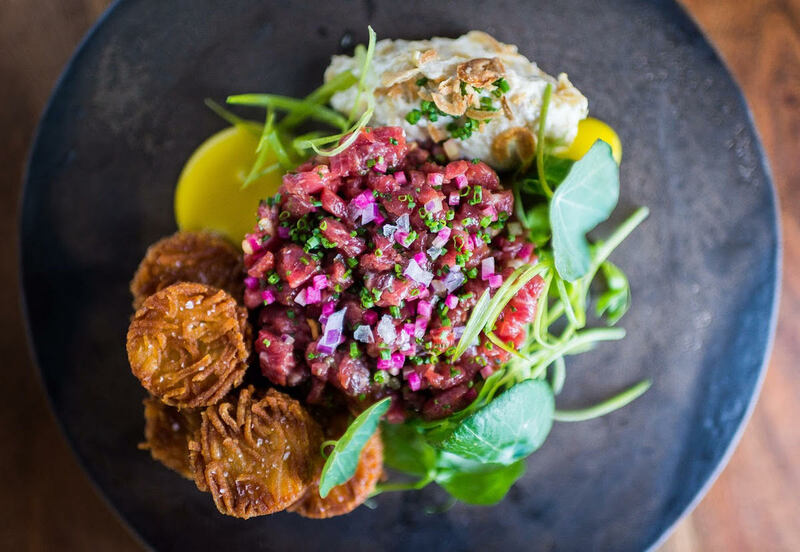 No dish celebrates beef better than a well-executed steak tartare. The meat is on naked display, complemented simply with a few seasonings and toppings, so it must be the best of the best – nothing less will do. 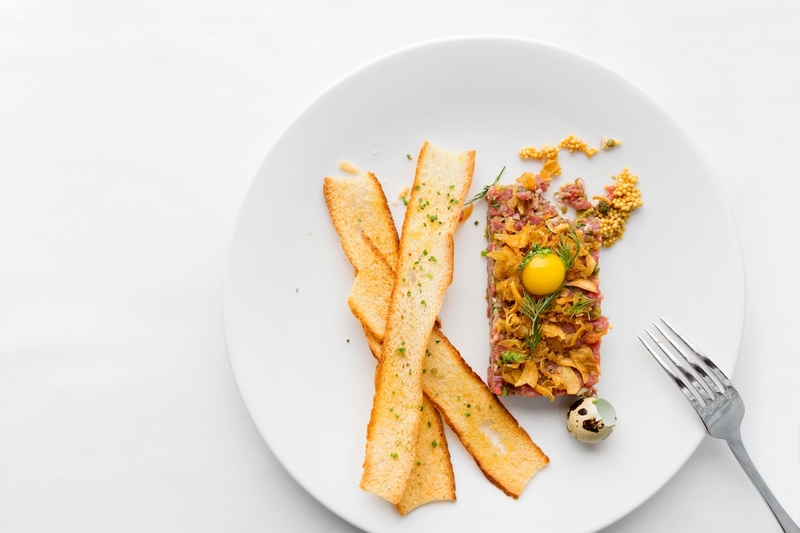 These nine stellar steak tartare dishes are spot on in every way. 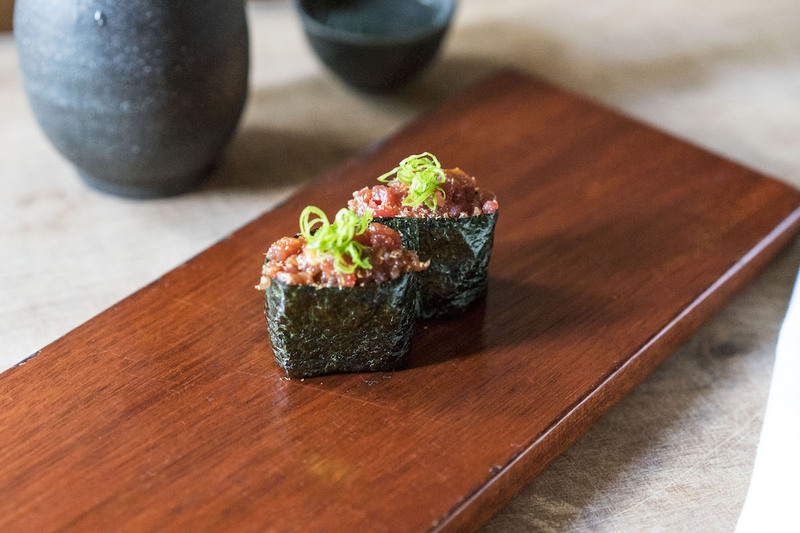 Ramp kimchi adds kick to this tartare. Yogurt calms the fire, while carrot dressing contributes a sweet note. Make sure to snap a pic before you dig in because it’s a stone cold stunner. Make a reservation at GreenRiver. High meets low. Diced beef tossed with koji dressing comes with disc-shaped tater tots and a quenelle of caramelized onion dip. Smash and mash all the components together to create a delightful twist on tradition. Make a reservation at Hazel. 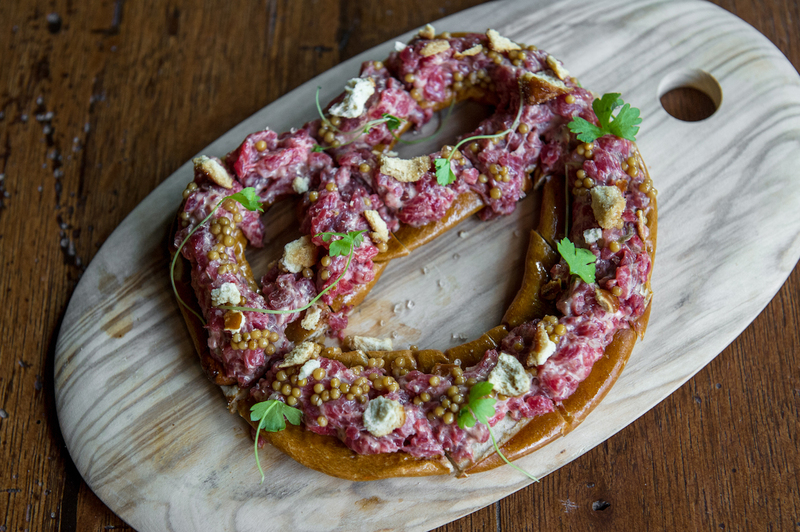 Admit it, you’ve always dreamed of eating your tartare on a giant pretzel. Now you can with this rendition featuring American Kobe beef, smoked aioli, and pickled mustard seeds. You’re “knot” going to believe your eyes. Make a reservation at Vandal. Minced flank steak is mixed with Thai chili, garlic, sesame, and tamari. Then it’s wrapped up seaweed to create tartare nigiri. Add an optional quail egg to boost the roll’s richness and add a velveteen quality. Make a reservation at Uchiko. Truffles make everything better. Case in point is this top-notch tartare tossed with Dijon aioli, pickled radish, and deviled eggs. Designed for sharing, it’s totally understandable if you keep this dish to yourself. Make a reservation at Steadfast. This tartare is forged from prime sirloin and filet. A quail egg adds a luxuriant creaminess, while crispy garlic adds a crunch factor. Ever-so-slender slices of toasted baguette are on hand to scoop up bits of beef. Make a reservation at Baltaire. This is not your average tartare. 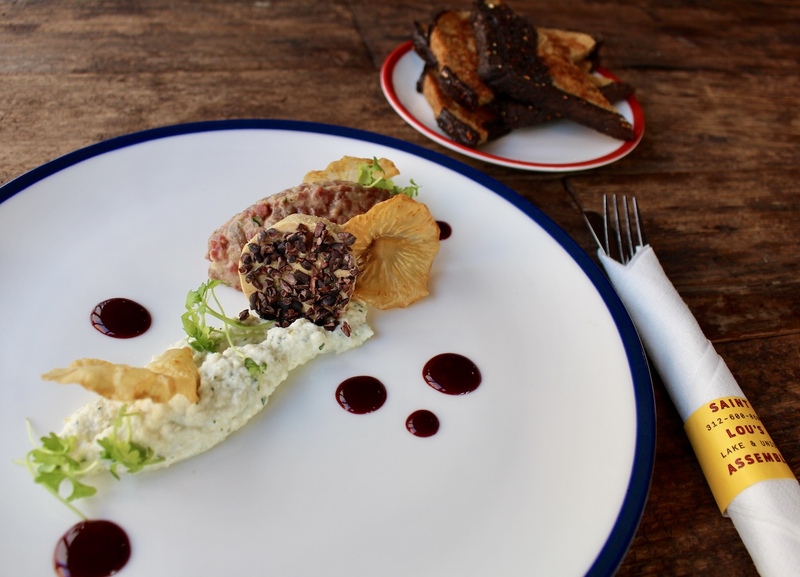 It’s complemented by a ridiculously rich foie torchon embedded with cocoa nibs, plus celery root chips and remoulade. Triangles of toasted rye bread add down to earth notes that help leaven the richness of the liver. Make a reservation at St. Lou’s Assembly. 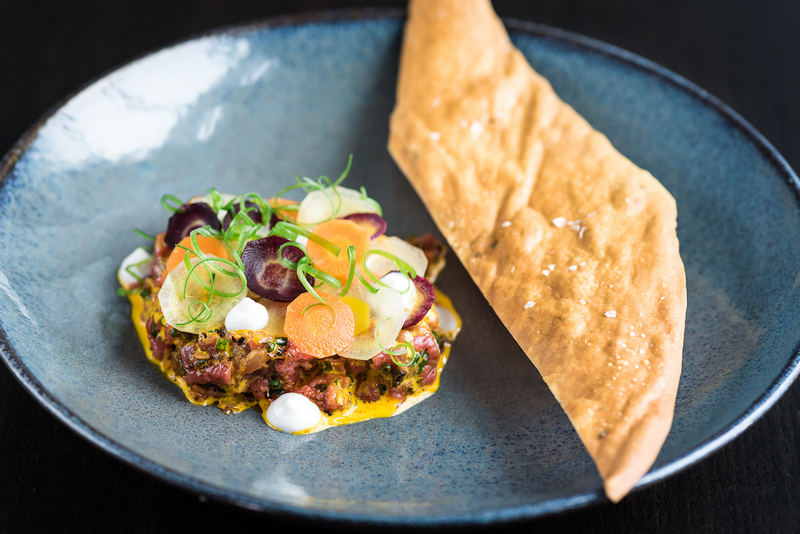 Tartare gets an Indian makeover. 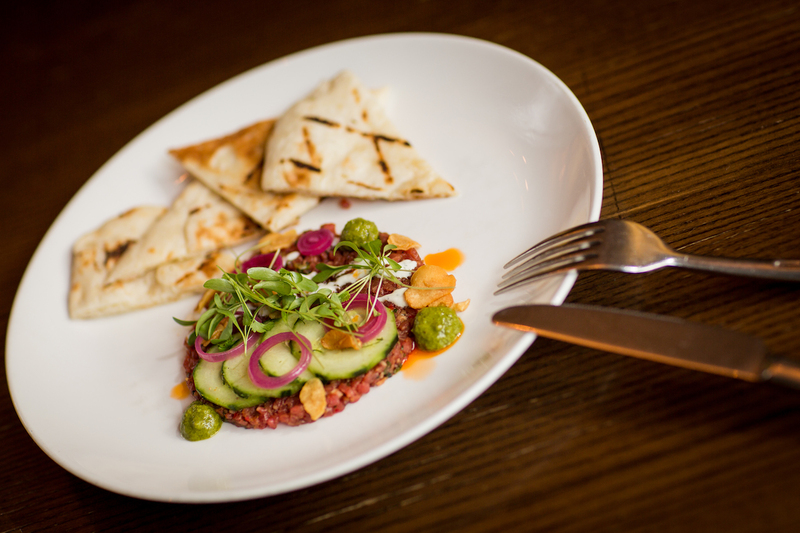 Wagyu beef accented with housemade Vadouvan curry comes coronated with cucumber rounds, pickled onion rings, and garlic chips. Tri-corners of just-grilled naan make for superb scoops. Make a reservation at Art and Soul. 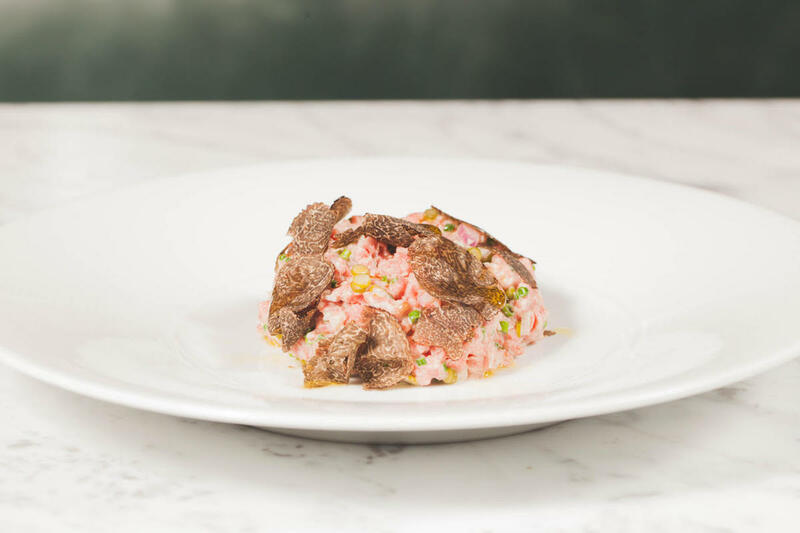 There’s a wonderful earthy funk to this tartare. That umami oomph comes from shaved Parmesan and wild mushrooms. Delicate mizuna greens contribute a light vegetal note. Make a reservation at db Bistro Moderne. 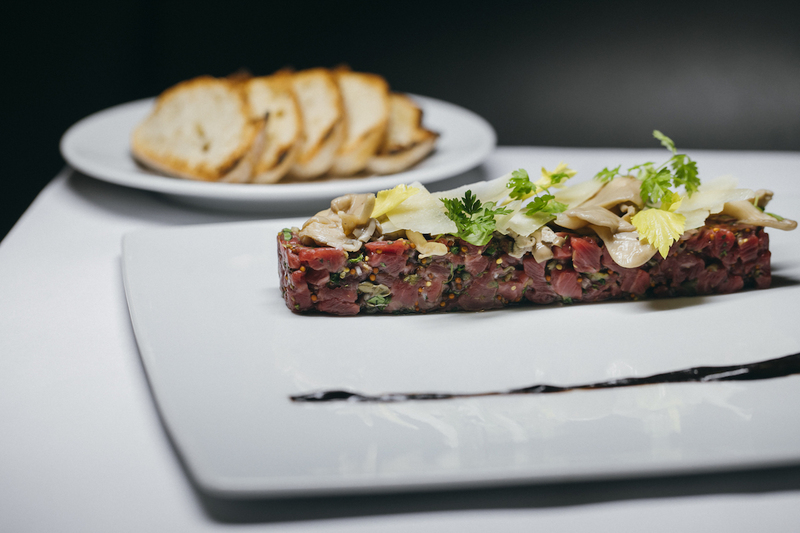 What are your favorite spots for steak tartare? Let us know here or on Facebook, G+, Instagram, Pinterest, or Twitter. And, remember to snap + share your #dishpics with us on Instagram for a chance to win in our weekly giveaway. Photo credits: Logan Crable (Uchiko); Rey Lopez (Hazel); Ronald Flores (Art and Soul); Kailey Lindman (GreenRiver); Kristin Teig (Baltaire). Never had steak tartare. But I love beef carpaccio and I eat tuna tartare when it’s on a menu. These look spectacular, especially db Bistro Moderne.